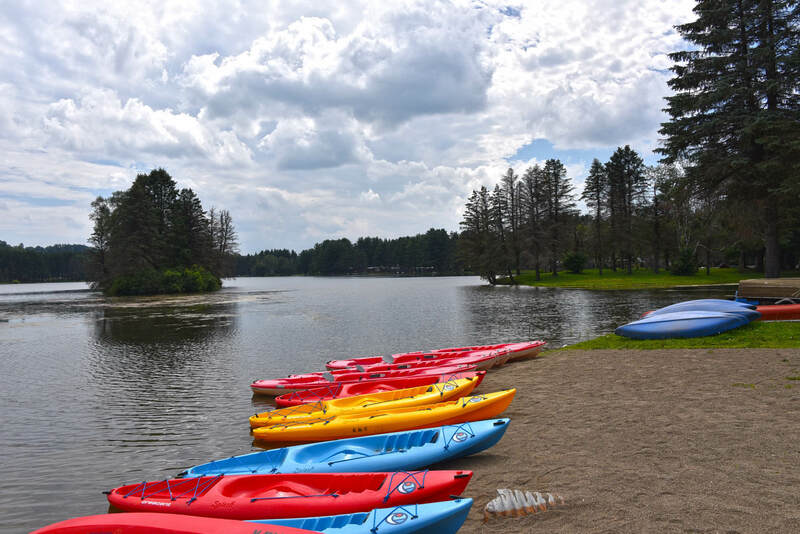 All campers are welcome to enjoy a variety of boating options on Rainbow Lake, including paddle boats, kayaks and canoes. All boats are available to rent from our boathouse free of charge! Our boathouse staff will make sure that every guest partaking is geared up with the right equipment and safety gear. Guests are also welcome to bring their own boats, as long as they are not motorized. Stop by our boathouse any time between 12pm and 6pm, Monday through Thursday, or between 10am and 8pm Friday through Sunday to take your boat of choice out on the lake.